Virginia’s Not Just for Lovers, it’s for Wine too! 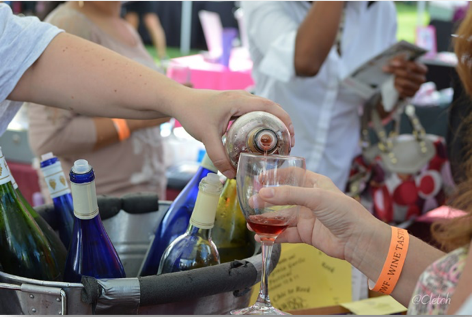 Join the fun on October 13th and 14th at Virginia’s Oldest Wine Festival. The event is heading into its 43rd year by bringing in wineries, breweries, entertainers, food trucks and vendors from all over the great state of Virginia. You will have your choice to sample 200+ wines and ciders in addition to the vast array of food trucks available on site. Your ticket will also give you access to the Virginia Oyster Pavilion, which offers Chesapeake Oysters paired with delicious craft beers and Virginia Wines. The venue has changed for 2018, and is being held at Gateway Park in Arlington, Virginia. The park is located on the Potomac River and boasts scenic views of downtown Washington, D.C. Getting to the event is easy since it is only a few miles from the city. We recommend booking your stay at The American Guest House and taking public transportation to the event. American Guest House is only 2.5 miles from Gateway Park and provides quick and easy access to the Metro in addition to shared transportation such as Uber or Lyft. Tickets to the event can be purchased here. A general admission ticket is $40 in advance or $55 on the day of the event. General Admission includes: A Tasting Glass, unlimited wine tasting from all participating Virginia wineries and access to VA Oyster Pavilion, all concessions and musical entertainment for the day. VIP tickets are also available for $65 if purchased early or $95 at the gate. VIP tickets include: 1-Hour Early Admission to the festival, Special “Exclusive” VIP Reserve Wine Tasting – includes Private Tent & Bathrooms, a Tasting Glass, unlimited wine tasting from many VA Wineries, access to the VA Oyster Pavilion, and all concessions and musical entertainment. Stay close to the fun at this year’s Virginia Wine Festival, book a room at one of D.C’s most prestigious Bed and Breakfasts, American Guest House. The clean and comfortable rooms are the perfect accompaniment to your Virginia Wine Festival weekend getaway. Stay close to the action and book your room today!